Oppo has just launched dual camera technology with very clever implementation. Known as 5X Precision Optical Zoom' for smartphones, it was built using two sensors and Zoom mechanism inspired by periscopes. Smartphones employing dual sensors have appeared earlier as we have seen in the case of iPhone 7 Plus. The two sensors include wide angle lens for the regular camera and telephoto lens for extra zoom. However Oppo engineers have come up with rather interesting technology. They divert the light through a prism by using a periscope-like structure which is placed perpendicular(90 degrees) to the rear-facing wide-angle lens. So in this design, the second telescopic sensor is hidden inside the module and hence two sensors are not visible to the user. As a result of which, the design facilitates to zoom in distant objects without depending on bulky lenses. Although there are 50 components inside the module it measures just 5.7mm high. One of the common problems faced in zoom technologies is image stabilization. Even the smallest of shaking will be visible during zooming. 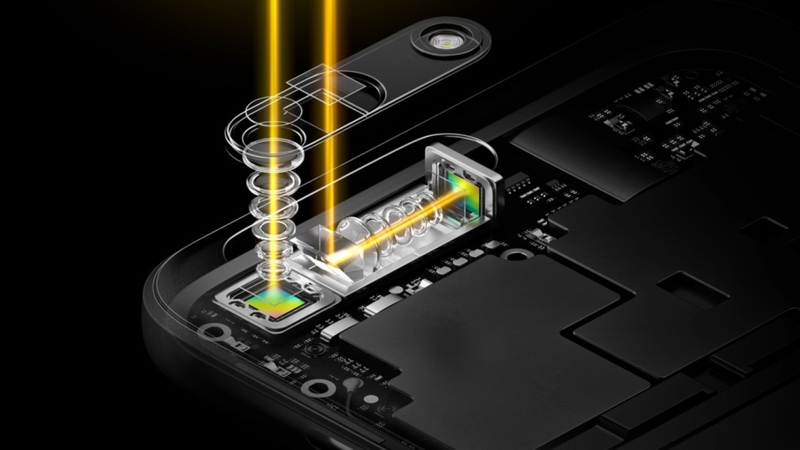 However, Oppo has paired 5x zoom module with an all-new optical image stabilization solution which the company claims to improve performance by 40 percent, compared with previous technology. So the pictures will stay clear and sharp even when taken in 5X zoom. Oppo developed the technology in partnership with camera technology vendor Corephotonics and it took them one year to develop. However, Oppo has not yet announced the first smartphone to adopt the technology.